I can, if fact, go without drinking wine for days – even weeks at a time. Eating healthy and not cheating makes you feel virtuous. But it isn’t much fun. Lifting weights makes you feel like a badass, no matter how old you are. Jumping rope can also make you feel like a badass. Who knew? Blisters can be badges of honor. As you can see, I’ve made changes. And the changes I’m making on this journey are generally positive and encouraging. For instance, over the past couple of years, I’ve fallen into bad habits – too much wine, too little discipline about what I ate and when, exercise with no concrete goals and very little passion. 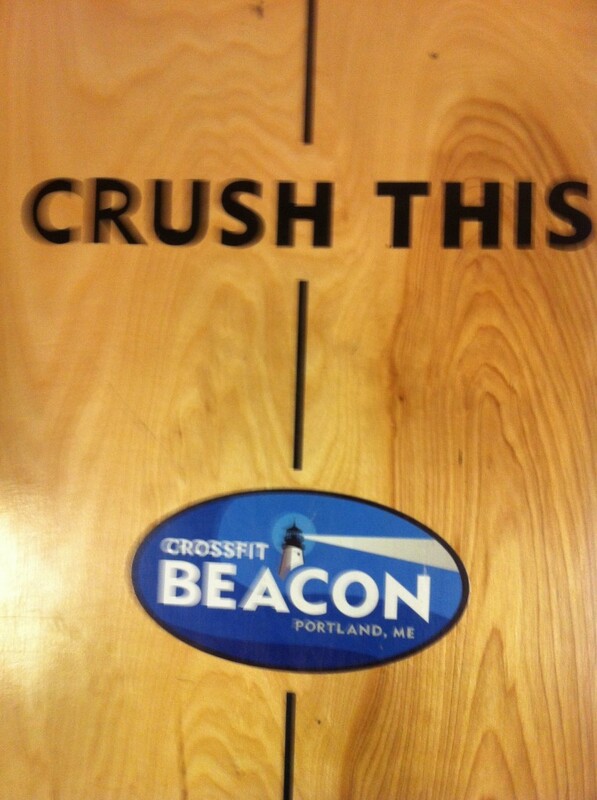 The exercise component took care of itself the minute I walked into CrossFit Beacon. I rediscovered the passion I had lost when I had to stop distance running. I’ve been accused of joining the “CrossFit cult,” but I prefer to think of it as my fitness family. While CrossFit might not be for everyone, it is perfect for those of us with a fervor for a lifetime of fitness in an atmosphere that is intense but accepting, dedicated but inclusive, passionate but playful. I’m demanding things of my body that scare me. I’m pushing beyond fear and my own perceived limitations. With the help of my coaches, I’m learning to silence the negative chatter that, all to often, finds its way into my head. And I’m having more fun than an almost 60-year-old should be allowed to have. Fun. Passion. Fitness. Enthusiasm. Old dog, meet your new tricks! Yes, this shot is a little blurry. After crushing today’s WOD (workout of the day), I was decidedly wobbly. But you get the picture.